No sugar added. 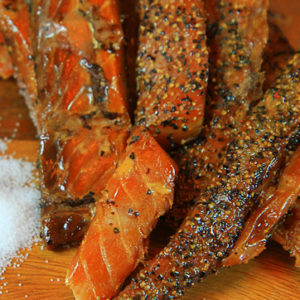 This jerky is instead flavored with citrus juices of orange and lemon. 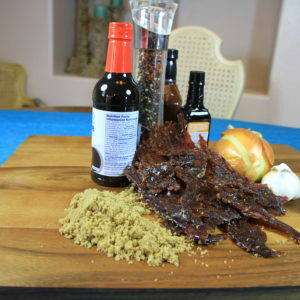 There is a” whisper” of Habanero. 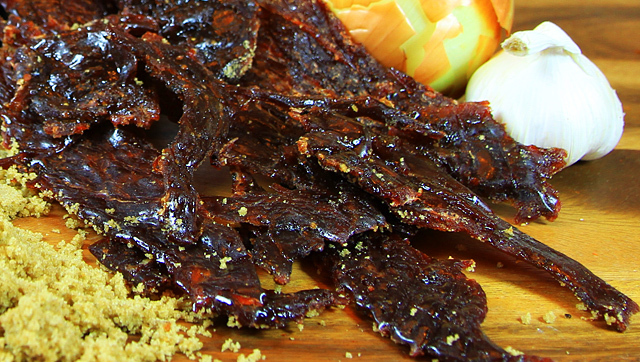 This jerky gives you pretty much the true flavor of the buffalo meat without a lot of seasoning. 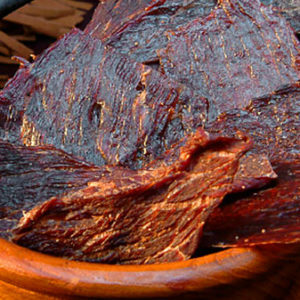 Because of having no sugar, this jerky is slightly dryer than our jerkies that contain sugar. 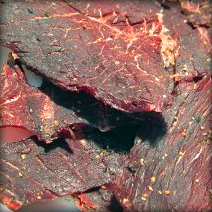 A thin sliced style of jerky. (This flavor is also available in Beef). 4 oz. size package.